This entry was posted in Gardening, words and tagged Agatha Christie, clues, roses, thornless. Bookmark the permalink. looks like my john davis rose. beautiful. is it cold hardy for ne ohio without protection of hte canes? Thanks for visiting my blog, glad you liked the rose. I know very little about the climate in NE Ohio but Kathleen Harrop is usually shown as hardy in Zones 5 – 10. 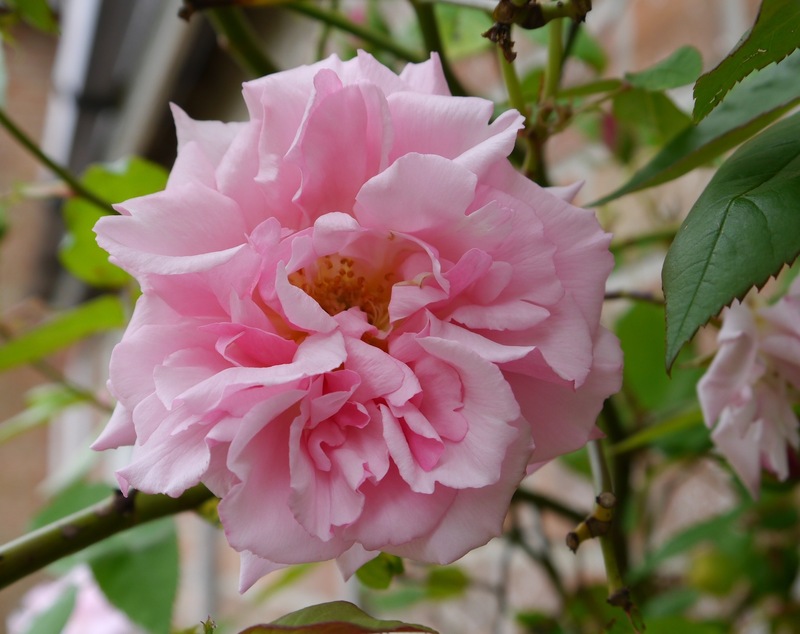 It has not been bothered by the frost and snow in England and is always one of the first roses to flower in my garden. A lot of the catalogues say it is prone to mildew but ours has never suffered from it, just occasional blackspot on the leaves. Oh, wow, pretty! I can almost catch a whiff through my computer screen! I have picked a few now so that I can enjoy them whilst putting words onto my computer screen. Do you have a favourite rose, one with a perfume that evokes a good memory perhaps? Such a beautiful rose. Thanks for sharing your blooms. Thanks for stopping by my blog and leaving a comment; I’m glad you like this rose. I bought a new camera two days ago and this was one of the first subjects I photographed with it.